North Star Parents Are Proud! 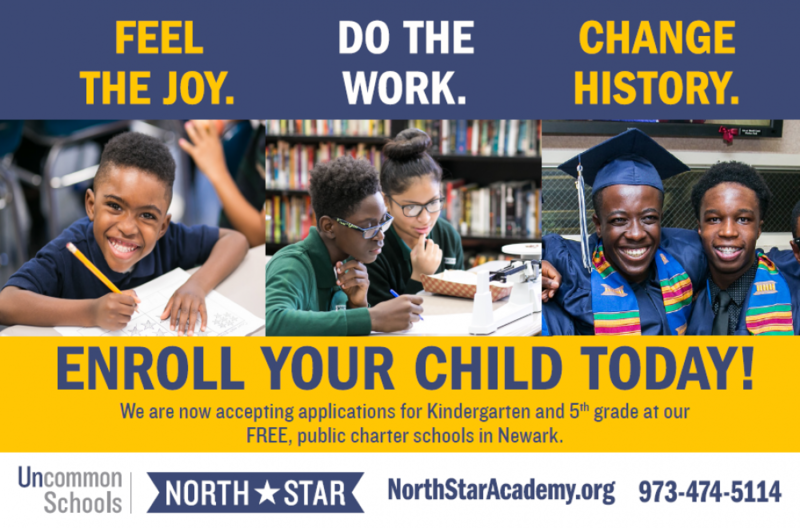 North Star parents know that now is the time for Newark families to apply for a high-quality education. As supporters of school choice, parents recognize the impact a great education can have on their child, their family and the community. We’re spreading the word and want all of Newark to have an opportunity for an award winning education – it will literally change their life. To learn more about North Star or submit your application today, visit www.northstaracademy.org/enroll. This entry was posted in Culture and tagged Applications, literacy, math, Newark, North Star Academy, One Newark, Parents by uncommonnewark. Bookmark the permalink.